Hilltop Children’s Center has been influenced by the schools for children in the city of Reggio Emilia, Italy. While there is no formal process of certification for schools in North America that aspire to the Reggio approach we at Hilltop feel that our core values align with the work being done in the schools of Reggio Emilia. 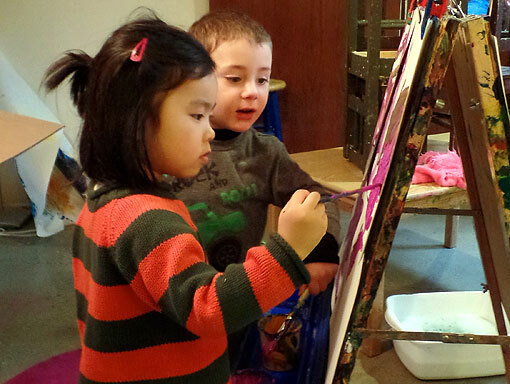 Like the schools of Reggio Emilia, we provide small art studios for each classroom, as well as a large community studio. We offer children a variety of opportunities to explore visual media, believing that children can use art as a tool for deepening their own thinking and communicating their theories about the world.